Pearl Plaza Apartment, located on Dien Bien Phu road, Binh Thanh District, HCMC. It is one of the most scenic and renowned parks in Ho Chi Minh city. It provides an important focal point for the Binh Thanh District. A diverse variety of the finest schools, both primary and secondary. 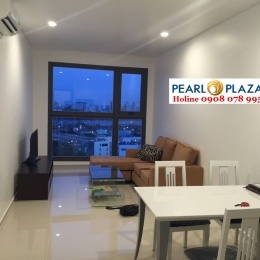 Pearl Plaza apartment is close to many restaurants, fashionable boutiques, specialty shops and pubs, making this a great location. Call us at 0908 078 995 for checking apartments now!! !